As the first premier biohazard cleaning and restoration company in Phoenix, AZ, BIOPRO, LLC has experience dealing with unfavorable situations with ease and convenience for all involved. Our experts have handled extreme crime scenes and remediated the area to its pre-crime state. No loved one or business owner should ever be left with handling these delicate matters. 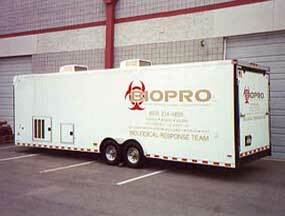 Our team brings a compassionate and thorough approach to every biohazard removal job we undertake. Few Phoenix companies can compete with our experience and innovative techniques. We have decades of experience in the biohazard and crime scene cleanup industry and continually achieve certification in the latest state-of-the-art technology and strategies. 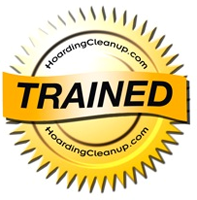 Our hazardous waste and delicate cleaning experts will guide your family or business through this sensitive time. During your free service assessment, we analyze the situation at hand and set a plan in action that works for you. This includes but is not limited to disinfection and sanitation of the hazardous crime scene and total surface restoration. For those who are concerned about cost, our biohazard removal and cleaning services are covered by insurance policies in many cases. This means you can rearrange reimbursement with your policy provider to offset your remediation expenses. Avoid unnecessary stress and the additional trauma of handling your troublesome situation. Contact the experts at BIOPRO, LLC to come to your home or business to handle these delicate matters for you. Submit your service request online or give us a call toll-free at 877-492-7549.